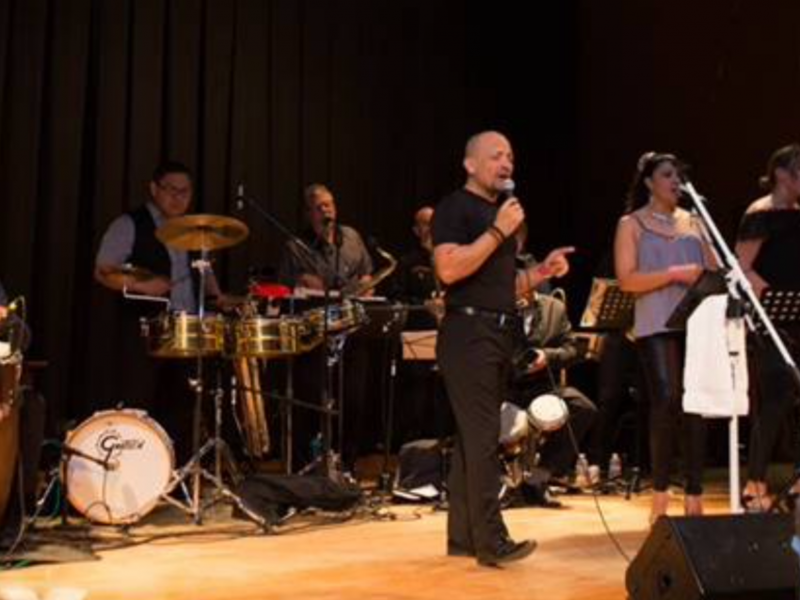 COME DANCE TO THE MUSIC OF SALSANOVA -- a 10-piece group which plays dance music in the styles of Salsa, Cha Cha Cha, Mambo and more from artists such as Luis Enrique, Jose Alberto, Marc Anthony, Poncho Sanchez, and ‎more. Featuring a full rhythm section (congas, timbales, bongos, ‎piano and bass) as well as a ‎powerful horn section ‎‎(2 trumpets, trombone, saxophone/flute), together with a ‎vocal line-up, Salsanova ‎is ‎sure to get a room full of dancers moving to the sounds of ‎hot Latin music. Salsanova MADE our wedding. They are SO talented, kind, generous and fun. They brought such a good vibe to our party. They were easy to work with, responsive and timely. All of our guests remarked that it was the best live music at a wedding they had ever experienced. Booking them was one of the best decisions we made about our wedding. Seriously, hire these guys, you will not be disappointed! Such a great pro band! This is a salsa band, such a great energy and professionalism. Salsa bands at Portland are very limited but SALSANOVA broke the rule.. I saw this band week a go and was such a breath a fresh air.! Hugh difference between this pro band and the rest of mini jam bands around playing the same Cuban tunes.. SALSANOVA is pure SALSA DURA.. I really give 10 ⭐️ To this band, 10 musicians make a HUGH difference than band of 4., sorry but if I'm paying a cover a fee for a band, I want the real deal..! Keep the salsa up and been SALSANOVA THE NEW SENSATIONAL ORQUESTA.!! GOOD LUCK! 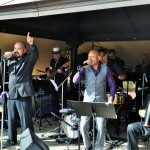 Salsanova is Portland’s newest Latin and Salsa dance band ‎created in 2013. 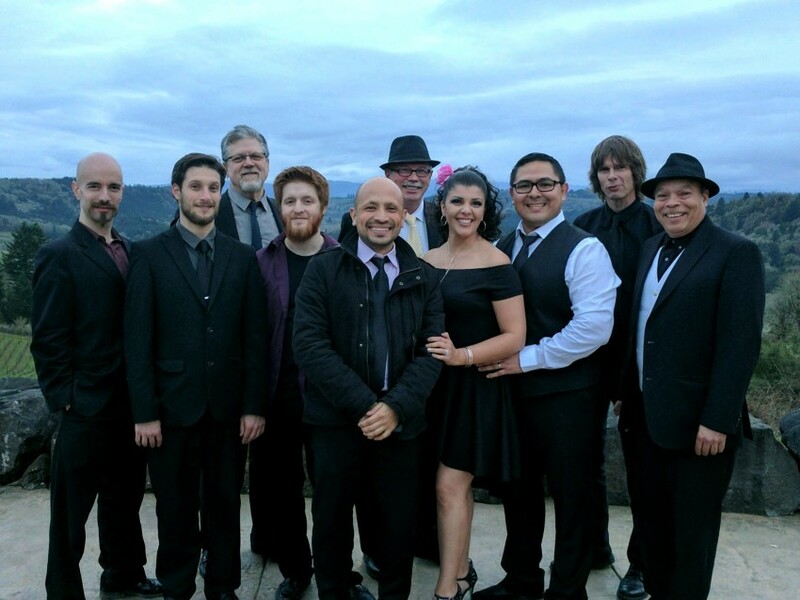 This 10-piece group has ‎some of the area’s ‎best musicians, all of whom have a love for Latin music ‎and a dedication to playing it ‎with authenticity and soul. It ‎was created with the purpose of providing new dance ‎opportunities for ‎Portland’s ever growing Salsa ‎community and plays dance music in the styles of Salsa, ‎‎cha cha cha, ‎mambo and more from artists such as Luis Enrique, Jose Alberto, Marc Anthony, Poncho Sanchez, and ‎more. The ‎band features a full rhythm section (congas, timbales, bongos, ‎piano and bass) as well as a ‎powerful horn section ‎‎(2 trumpets, trombone, saxophone/flute). Together with a ‎vocal line-up--which ‎adds rich, syncopated melodies and ‎soulful Spanish lyrics to produce a full, vibrant sound--Salsanova ‎is ‎sure to get a room full of dancers moving to the sounds of ‎hot Latin music‎.